Tornado season is officially with us until the end of August. And although meteorologists are hopeful that it will be a mild one, we know that DFW residents are not taking any chances. Many of them are reaching out to the Texas Windstorm Insurance Association, Help Insure, Texas FAIR Plan Association and others to verify their insurance deductibles sooner, rather than later. Our residential roofing repair pros know that a home’s roof must be prepared for Texas storms and then meticulously checked after a bad storm. Otherwise, the home may potentially experience flood or wind damage. Keeping that in mind, our roofing team is encouraging all Texas homeowners and commercial property owners to call us before storms arrive. We can inspect, and repair your roof and gutter systems. Consequently, we can help ensure that your roof is made with materials tough enough to withstand 100+ mph winds, drenching rains and impacts from debris or hail. 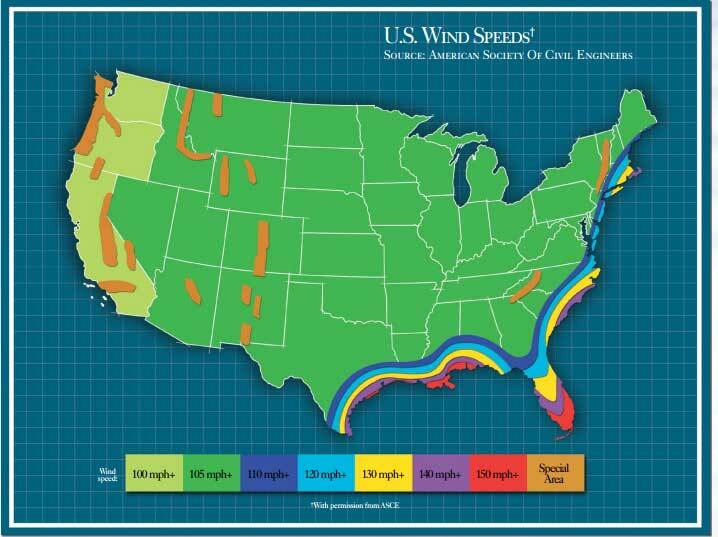 Did you know that there are flashing materials meant to withstand winds of 150 miles per hour? It’s true. Similar may be said for select gutters, gutter covers or guards, shingles, siding and windows. Our roofing contractors would be happy to discuss all of the building materials they’re accustomed to using with you upon request. And yes, many of those same materials come in colors and styles meant to blend in or compliment Texas homes. To setup a meeting, please contact our roofing and gutter experts today. When you purchased your home, you probably realized that you are responsible for repairing and replacing the AC, windows, roof, and/or anything else that needs it. After you sign up for comprehensive homeowners’ insurance, the most important thing you need to do is educate yourself on prevention and treatment of common homeowners’ problems. Here are some of the most common causes of residential roofing leaks. Check to see if any of these six situations exist on your roof so you can accurately describe the situation when you call in the professional roofer. 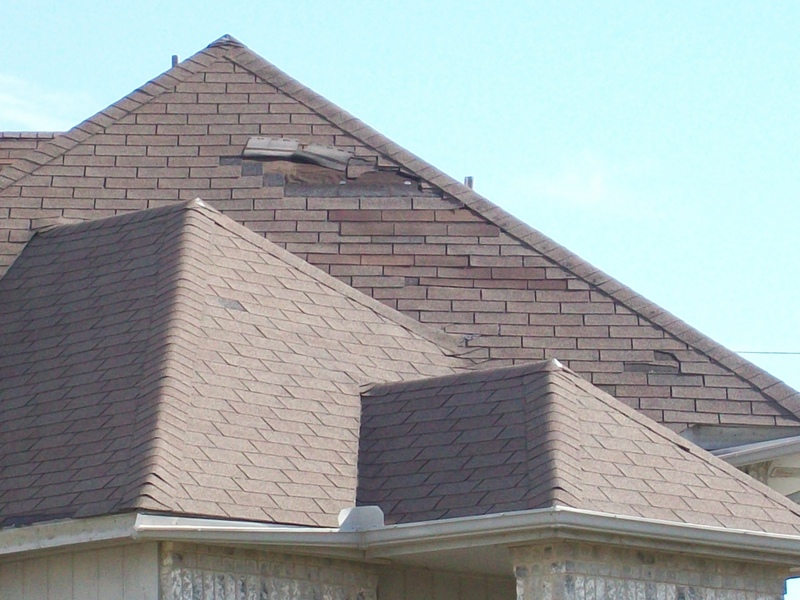 Flashing, shingles, and fasteners can all suffer from the high winds and the blowing debris present during a storm. It’s easy to spot missing shingles, but if there’s just been a storm with high winds it’s a good idea to call in a roof inspector so you don’t miss any hidden damage that could cause leaks later. Your chimney, skylight, and roof vent boots all create breaks in the roofing material that must always be tightly sealed to prevent water entry. If your previous roofer wasn’t experienced in dealing with any of these issues, you may have an inaccurately fitted skylight or an improperly sealed chimney. Speaking of time, your roofing materials will only hold up for a certain amount of time. If it’s been fifteen to twenty years since you (or the previous owner) replaced the roof, you could have cracked flashing or any of a number of other hidden failures caused by great age. Debris from storms or simply from trees growing near your house can cause this problem. Fortunately, it’s quite easy to prevent if you clean your gutters out regularly. Any time you have a mysterious leak, check to see if your gutters have recently become clogged. One problem that occasionally occurs in residential roofing is a “valley” between two peaks of a roof. Water tends to run here and become trapped, and trapped water is more likely to leak. Low slopes are at high risk for a similar reason: water doesn’t flow off them as rapidly as it does from a steeper slope. Once you’ve checked for these common problems of residential roofing leaks contact Roofity with the information so we can make a diagnosis and provide you with a quote today!